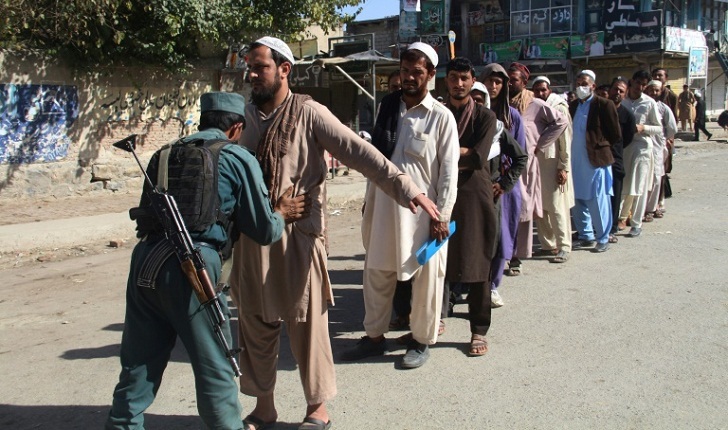 More than 130 Afghans were killed or wounded in poll-related violence on Saturday, officials said, as the legislative election turned chaotic with hundreds of polling centres failing to open and voters queueing for hours. Most of the casualties were in Kabul, where at least four people were killed and 78 wounded in multiple explosions, acting health ministry spokesman Mohibullah Zeer told AFP, after the Taliban warned voters to boycott the ballot "to protect their lives". Election organisers, who have been skewered over their shambolic preparations for the long-delayed ballot, said they would extend voting until Sunday for 360 polling centres after hiccups with voter registration lists and biometric verification devices caused lengthy delays. Violence also disrupted voting. In the northern city of Kunduz, three people died and 39 were wounded, hospital director Marzia Yaftali told AFP, after more than 20 rockets rained down on the provincial capital. Eight explosions were recorded in the eastern province of Nangarhar, with two people killed and five wounded, the provincial governor's spokesman said. Despite the threat of violence, large numbers of voters showed up at polling centres in major cities where they waited hours for them to open. Turnout in rural districts was not clear. Most polling sites opened late after teachers employed to handle the voting process failed to show up on time, said the IEC, which promised to extend voting by four hours. Almost nine million people registered to vote in the parliamentary election, which is more than three years late. But attacks across the country on Saturday are likely to deter many from turning up at the nearly 5,000 polling centres. Hundreds of people were killed or wounded in the months leading up to the poll. The killing of a powerful police chief in the southern province of Kandahar on Thursday further eroded confidence in the ability of security forces to protect voters. The Taliban claimed it carried out 318 attacks on voting locations, checkpoints and military sites throughout Saturday. Preliminary results will be released on November 10 but there are concerns they could be thrown into turmoil if the biometric verification devices are broken, lost or destroyed.